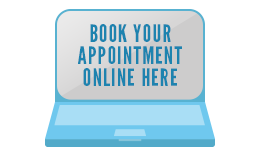 We believe that your dental experience should be personal, gentle and comfortable, and relaxed. We use sleep dentistry, pain free dentistry, interest free dentistry for 12 months, high tech dentistry and anything else we can think of to help you! What is our underlying philosophy? We believe that infection and inflammation in the mouth has a direct effect on the rest of your body. We ensure that you are able to chew your food well, because digestion starts in the mouth, you need to absorb the nutrients and vitamins from your food for your body to function well. We are mercury amalgam free. We can help you with the way you present yourself to the world....your smile! Whether it is by straightening crowded teeth (without removing teeth!) or whitening discoloured teeth, you will be surprised with the solutions we can offer you! *Using GE finance, we pay the interest for you.